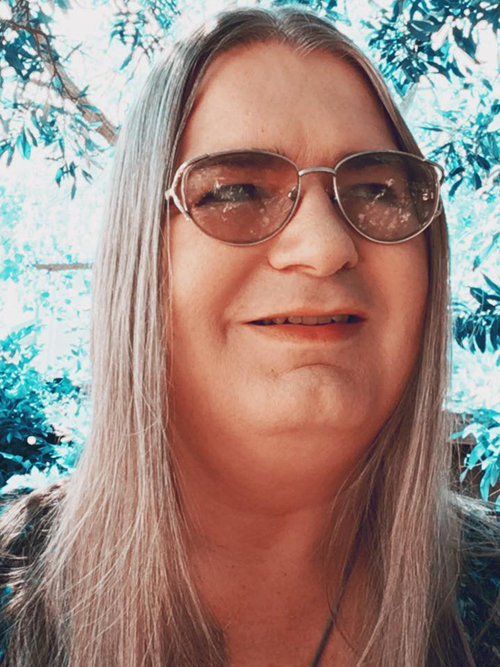 Gwendolyn Ann Smith has been an advocate for the transgender community for most of her adult life, with a focus on the trans community on the internet, as well as in honoring those we have lost due to anti-transgender violence. Starting in 1992, she lobbied America Online, getting the company to change its policies and allow discussions on gender issues on their service. This led to the creation of the first public forum on a major online service  the Transgender Community Forum  one year later. This service allowed thousands of transgender people worldwide to connect on a daily basis. With the rise of the World Wide Web, Gwen began to provide web management for many within the community, creating sites for the Southern Comfort Conference, for transgender photographer Loren Cameron, and many others, pioneering the early transgender web. She is still involved on transgender internet projects, serving as the managing editor for Genderfork. Her best known work, however, is Remembering Our Dead, a project founded in 1998 to chronicle the scourge of anti-transgender murders. Through this project, Gwen founded the Transgender Day of Remembrance. The event, now 18 years old, is honored in hundreds of locations across the country and worldwide. Gwen is also an avid writer, penning a column on transgender issues and ideas for the Bay Area Reporter in San Francisco, California. Her column, Transmissions, has been running biweekly since 2000. Her essay, Were all somebodys freak, is also featured in the book Gender Outlaws, edited by S. Bear Bergman and Kate Bornstein. In July of 2017, a biography on Gwen titled Trans / Active: A Biography of Gwendolyn Ann Smith, was released. It is available on Amazon.com.